Australian actor Rod Taylor passed away Jan. 7 at age 84. Today, we're remembering the life and legacy of this fine actor and true gentleman. 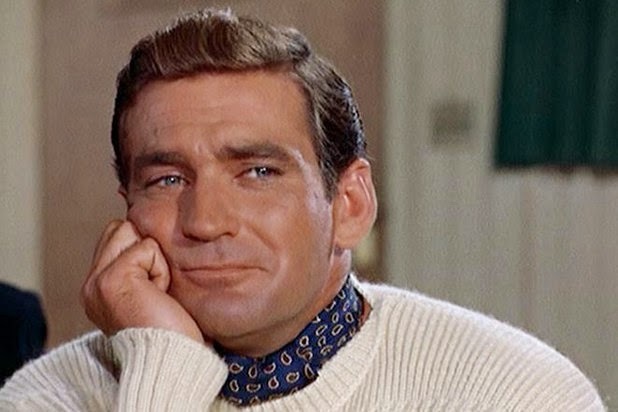 Rod Taylor was a welcome presence in television and movies for more than six decades. His rugged good looks and down-to-earth charm made him a sought after leading man in the 1960s. Taylor starred in several box-office sensations in the sixties, including Alfred Hitchcock's The Birds (1963), the science fiction classic, The Time Machine (1960), and the Elizabeth Taylor and Richard Burton vehicle, The V.I.P.s (1963). Taylor's film career faded a bit in the 1970s, so he moved onto television roles, starring in the 1980s soap opera Falcon Crest and making several appearances on popular shows like Murder, She Wrote. Taylor maintained a sterling reputation in Hollywood throughout his long career. "He was one of the most fun people I have ever met, thoughtful and classy," co-star Tippi Hedren told CNN. "There was everything good in that man." Rod Taylor and Yvette Mimieux in a publicity still for The Time Machine (1960). Taylor was born Jan. 11. 1930, in Sydney. His father, William, was a contractor and draftsman, and his mother, Mona Stewart, a children's book author. Taylor inherited his father's talents as an artist and draftsman and after graduating from Sydney Fine Arts and Technical College, he began working as a newspaper illustrator. Taylor's parents wanted him to follow in his father's footsteps, but by this time Taylor had become interested in acting, appearing in many community theater productions in the Sydney area. Taylor decided to pursue acting full-time after seeing Sir Laurence Olivier in a touring production of Richard III. "Sir Larry's performance that night clinched the deal," he told Film Review magazine in April 1971. "After seeing him, I knew I would never be anything but an actor." Rod Taylor's film debut in Inland with Sturt (1951). Taylor studied for a year at The Independent Theatre School, making his stage debut in a 1947 production of Misalliance by George Bernard Shaw. Taylor soon became a sought-after actor in Australian films and radio. 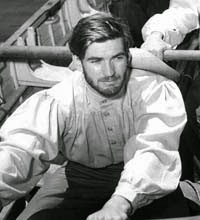 He earned a ticket to Hollywood after appearing in Long John Silver (1954), an American pirate movie that was filmed in Australia. 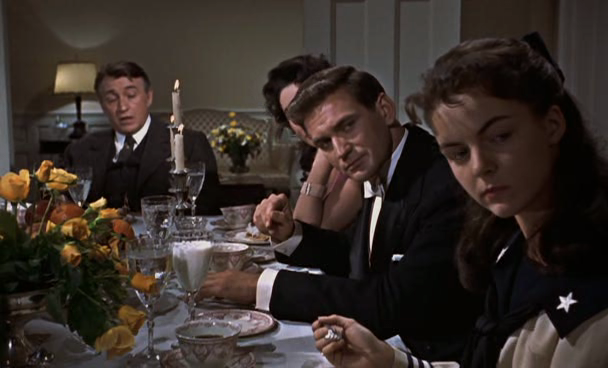 Rod Taylor (center) in Giant (1957). Taylor's first years in Hollywood were a struggle. At first, Taylor got by in bit parts in films like The Virgin Queen (1955) starring Bette Davis and Hell on Frisco Bay (1955) starring Alan Ladd. He auditioned for the role of boxer Rocky Graziano in Somebody Up There Likes Me (1956), but he lost out to Paul Newman. MGM was impressed enough with Taylor's audition to put him under contract and he soon started getting better parts, such as his pivotal role as Elizabeth Taylor's high-society boyfriend in Giant (1957). Taylor's breakthrough came in 1960 when he starred in George Pal's groundbreaking science fiction classic, The Time Machine, based on the novel by H.G. Wells. Taylor plays Victorian inventor George Wells who creates a time machine that takes him to the year 802,701 where he finds the earth inhabited by the peaceful Elois, who are hunted by the cannablistic Morlocks. The film is silly but thoroughly enjoyable fun, and Taylor makes Wells a dashing leading man who is equal parts geeky scientist and athletic swashbuckler. The Time Machine was especially influential on sixties television, paving the way for series like Star Trek, Lost in Space and especially Doctor Who (Taylor's Victorian wardrobe and the time travel scenario were prototypes for the seminal BBC series). 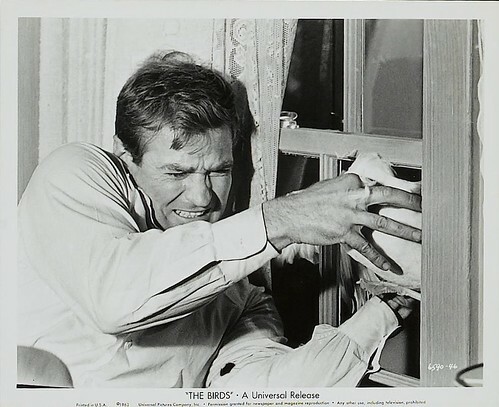 Rod Taylor tries to keep the winged predators out in this publicity still for The Birds (1963). Taylor continued his rise to stardom in the TV series Hong Kong, and by providing the voice of the heroic dog, Pongo, in the animated version of 101 Dalmatians (1961). Taylor appeared in three blockbuster films in 1963. Alfred Hitchcock's The Birds starred Taylor as a lawyer who romances heiress Tippi Hedren while trying to escape swarms of killer fowl. The all-star drama The V.I.P.s featured Taylor as a desperate businessman, who is stuck in an airport with an actress played by Elizabeth Taylor and her millionaire husband played by Richard Burton (The V.I.P.s is one of the few films roles where Taylor played an Australian). Taylor also appeared opposite Jane Fonda in the romantic comedy Sunday In New York. Taylor continued his popular string of romantic comedies with two films co-starring Doris Day. Do Not Disturb (1965) features Day and Taylor as a married couple who each believe the other is having an affair. In The Glass-Bottomed Boat (1966), Taylor plays a hunky astronaut who accidentally snares "mermaid" Doris Day (Day's character dresses up like a mermaid for her father's boat tours) while on a deep-sea fishing expedition. Taylor also took on more challenging roles in Young Cassidy (1965), The High Commissioner (1968) and in Italian auteur Michelangelo Antonioni's Zabriskie Point (1971). Rod Taylor played Winston Churchill in Inglorious Basterds (2009). Taylor worked primarily in television beginning in the 1980s. Taylor made guest appearances on several popular shows, such as Murder, She Wrote and Walker, Texas Ranger. From 1988-1990, he starred in the CBS soap opera Falcon Crest opposite fellow old Hollywood legend Jane Wyman. 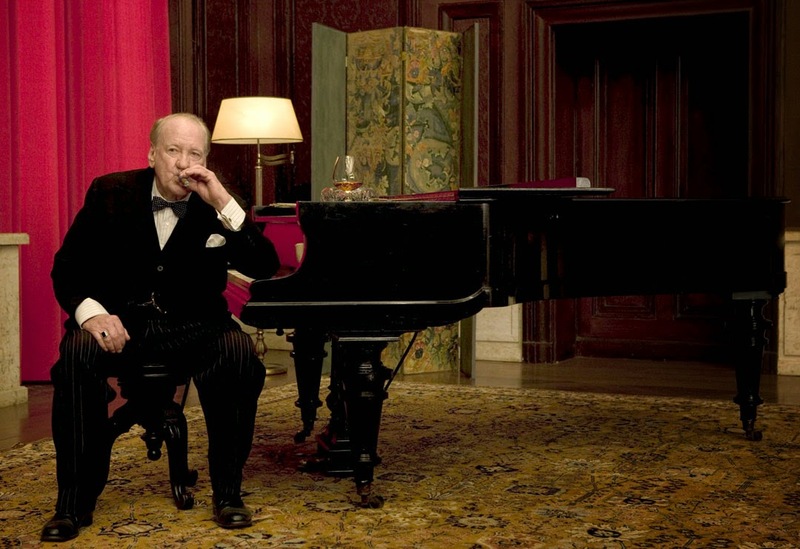 Taylor retired after 2000, but he did make a special appearance as Winston Churchill in director Quentin Tarantino's film, Inglorious Basterds (2009). Taylor died of a heart attack in Los Angeles just four days shy of his 85th birthday.